January’s tranche of United States Patent and Trademark Office applications offers a bizarre insight into the potential social media changes headed our way, including proposals to stop social media-savvy burglars and a Facebook robot. The online database is teeming with light-bulb moments from individual entrepreneurs and tech giants like Apple, IBM and Facebook. While not every published document on the site is an approved patent and not every patent becomes a reality, the applications act as something of a guide to what’s coming down the technological pipeline. First, the elephant in the room. 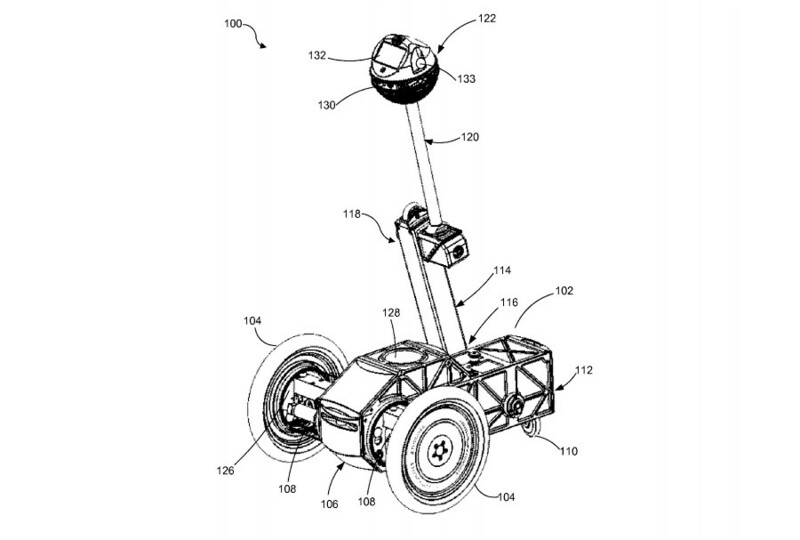 Or what Facebook’s January 12 patent more accurately describes as “a self-balancing robot” that can travel on two or three wheels. The device bears a resemblance to the wisecracking experimental military robot Johnny Five, featured in the 1986 film Short Circuit. 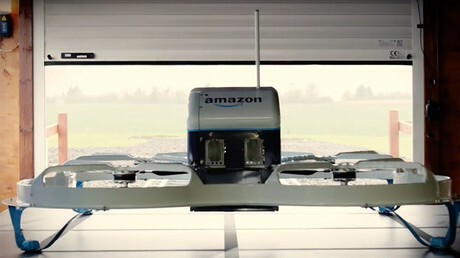 According to the patent application from inventor Scott C Wiley, the design mixes the height benefits of a self-balancing, two-wheeled robot with the load capacity of a four-wheeled machine. It’s not clear how the bot would be deployed by Facebook, however, the patent states the device could include a display screen, camera, speaker and microphones. It’s conceivable that social media giant are working on a service robot similar to the humanoid, Pepper. A second patent from the ever-enterprising world of Facebook centers on how the social media giant analyzes - and help others analyze - user-generated content. 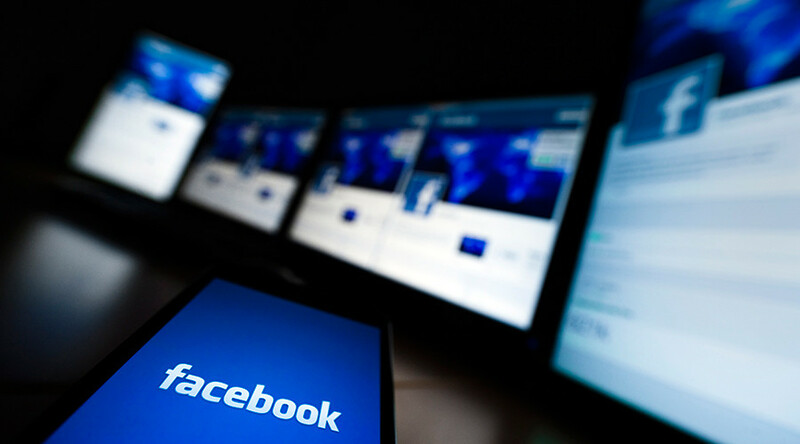 Dubbed “Meme detection in digital chatter analysis,” the method described appears along the lines of how Facebook already collects and uses individual data for, say, targeted advertising. 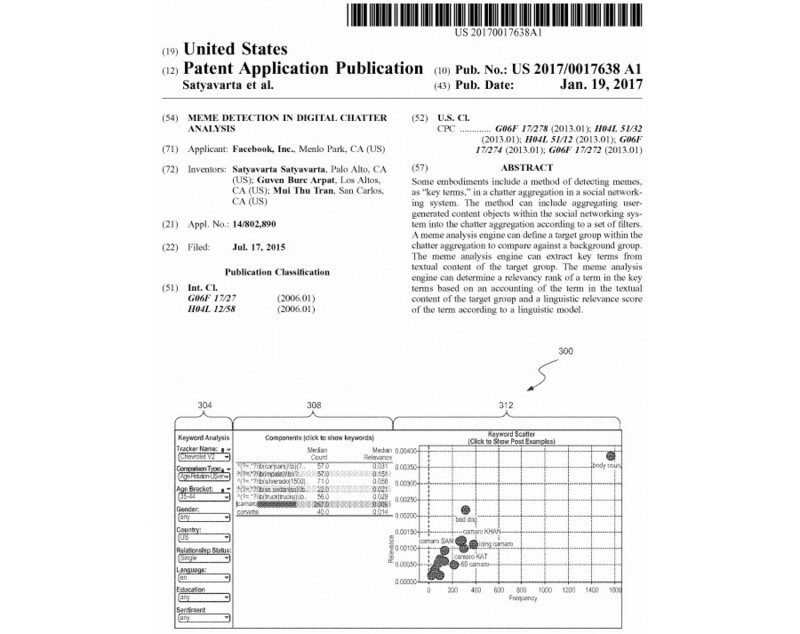 “The method can include aggregating user-generated content objects within the social networking system into the chatter aggregation according to a set of filters,” the patent reads. An example given by Facebook is someone using the method to track people that might be interested in a Chevrolet. “For example in current screen, ‘35-44 year old US singles against all US conversations happening in English in Chevrolet V2 tracker’”. Unlucky in love? Then your friends on Facebook, Twitter and, bizarrely, LinkedIn should be allowed to recommend you a romantic liaison online, according to Tel Aviv based inventor Erez Melnik. “Users sometimes wish to initiate a romantic or other acquaintance between two individuals on his or her friends list. As present, such a user must write a message to each of these friends suggesting that User 1 meet User 2, which is cumbersome and hinders the initiative,” the patent says, highlighting potential pitfalls of online courtship. The inventor’s idea is not far off what is already possible through Tinder, the dating application that permits users to anonymously link strangers’ profiles to their mates. In contrast though, Melnik seems to want people to wear their single status like a badge of honor and allow friends to recommend love interests from within their circle of acquaintances. The patent does not mention how it might eliminate the creep factor, or stop your so-called friends from intentionally setting you up with Mister or Miss Wrong. Pitched as a way to stop “unwanted” burglars from visiting your home, this IBM patent basically polices your own social media activity. By inputting preferences into a computer, possibly in app form, people can have an algorithm determine whether or not it is safe for them to post that poolside selfie. “For example, a social media user posting vacation plans, photos, or messages which contain current location information, may increase the chances of an unwanted guest, such as a burglar visiting their home,” the patent says. It adds: “Currently, if a social media user wants to post a message while on vacation, the user must wait until returning home or do so at their own peril while away.